Sugoi... pulldown menus and your titles have drop shadows!! I am most impressed. 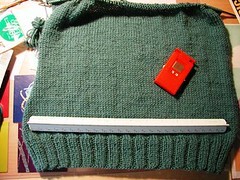 How's the sweater progress? It's purdy! This page contains a single entry by freecia published on March 22, 2005 12:59 AM. Please excuse the dust was the previous entry in this blog. sway is the next entry in this blog.